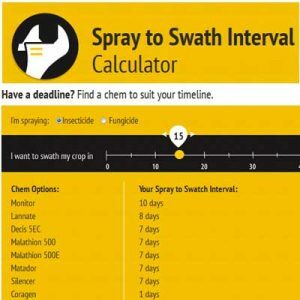 The quick and easy pre-harvest interval tool — the spray-to-swath calculator — helps you find a fungicide, insecticide or pre-harvest herbicide that fits your timeframe available. 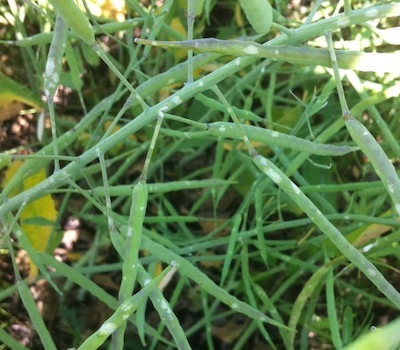 Three major stem diseases — blackleg, clubroot and sclerotinia stem rot — are more easily identified in the weeks leading up to harvest. 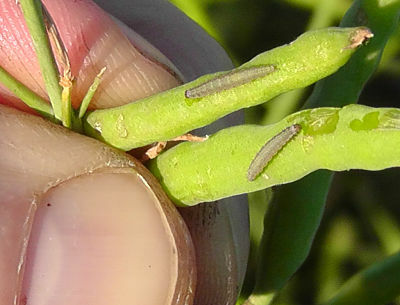 Areas of the field with prematurely ripening plants and excessive lodging are signs that any one of these three diseases could be present. Buying used equipment from a clubroot area can create an unexpected transfer of the disease. We heard this week of a grower from northern Alberta who bought a used combine from a known clubroot area. The grower was surprised at how much soil was on and inside the combine, and this soil very likely contained clubroot spores. 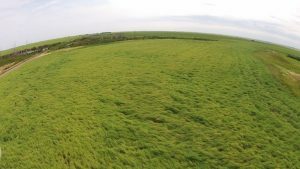 Growers who want to try straight combining for the first time, keep these risk scenarios in mind…. The following tips are from the SAFE Farms Harvest TIP sheet. Download the complete document.